Tasty and educational, a beer festival might be just the trick to livening up your group schedule this year. 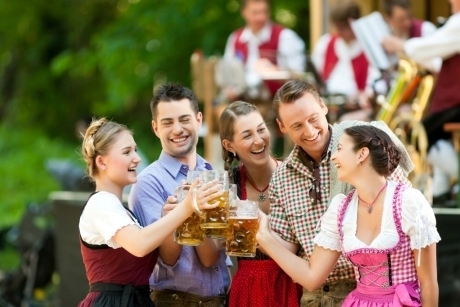 Here are seven beer festivals in worldwide locations to try a new tipple amongst friends. The Great Kiwi Beer Festival is a celebration of the brewing industry in New Zealand, hosted by industry experts, and featuring a range of more than 300 local, national and international brews. 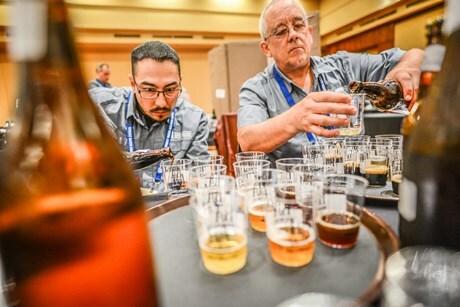 Visitors will be able to sample beers from diverse locales spanning from Europe to Asia, and the presence of many brew-masters onsite will give patrons the opportunity to interact with the people behind their favourite brands. Visitors can expect cooking demonstrations, seminars, brand experience areas, and beer and food matching sessions. The festival takes place at Hagley Park on the South Island, and group bookings are available via dashtickets.com. This Belgian beer festival starts on a Friday afternoon; getting started with Beer Bites, a cosy beer market selling regional beers in the delightful setting of the Oude Markt. The evening finishes with Beer Talks, which combines educational beer-related lectures with some tasty appetisers. Groups over the weekend might like to take a beer tour in Leuven, which you can do on foot or by bicycle with a tour guide. GTOs can also opt for a group trip to include a tasting in one of the Leuven cafes, a visit to a brewery at Domus brewpub, and visiting a Leuven restaurant for beer menu sampling. This outdoor beer festival takes place in New York over two days, and can be located at the New York State Fairgrounds. Live music takes place on both evenings of the festival, and a variety of games can be enjoyed. 2015 included a seminar about how to brew your own beer, so look out for other events like this during this year’s festival, yet to be confirmed. There are several ticket options available, including a ‘pay as you go’ option for individuals who know what they want to try or only want to sample a few craft beers. This American annual Summer Beer Festival will host more than 100 Michigan breweries sampling almost 1,000 different craft beers. Food will be available to buy inside the festival, and guests can enjoy live music from a variety of Michigan bands. The Summer Beer Festival takes place rain or shine in the outdoor setting of Ypsilanti's Riverside Park in historic Depot Town. The date is yet to be confirmed for when tickets go on sale. For a beer festival a little closer to home, head to Olympia, London this summer where British favourites like Wadsworth, Fuller’s and Dorking will be freely flowing. Organised by the Campaign for Real Ale (CAMRA), the British beer event offers visitors over 900 real ales, ciders, perries and international beers as well as entertainment, food, and traditional pub games to enjoy. Group travel organisers will get discounted ticket rates when booking for six or more. 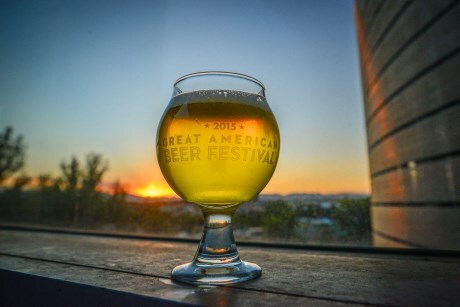 Each year, the Great American Beer Festival represents what’s said to be the largest collection of US beer ever served, in a public tasting event plus a private competition. It takes place at the Colorado Convention Centre in Denver and plays host to hundreds of breweries from across the US. Expect to taste beers such as Kentucky Bourbon Barrel Stout, Bone Chiller Brown Ale and American Summer. Demonstrations will take place throughout the weekend, including beer and food pairings. Tickets for the event will go on sale this spring. Attracting more than six million visitors every year, Oktoberfest in Munich reigns above many other beer festivals in popularity and diversity of both beer and food. Only beer brewed within the city limits of Munich can be served at Oktoberfest; visitors should have their glasses at the ready for products from breweries including Augustiner-Bräu, Hacker-Pschorr-Bräu and Löwenbräu. There are 14 tents to choose from selling both beer and food, including The Wildstuben that sells venison dishes and Augustiner, selling beer from Munich’s oldest brewery. Oktoberfest is free to enter. Don’t miss the main highlight of the events, the Oktoberfest Costume and Riflemen’s Parade, which takes place every year on the first Sunday.